An absent-minded dreamer, Hrot feels miserable in his primitive times—so he sells his soul in exchange for a decade in Renaissance Prague. There he dabs in occult studies in a desperate attempt to sneak out of the deal. Four centuries later, young reporter Jasmin Bierce leaves Alaska for Europe to avenge the death of her husband. Facing more enemies than she expected, her quest for revenge turns into a flight for her life. As she stumbles into the ruins of a medieval castle, she meets an immortal specter who calls himself…Hrot. Although he saves her skin, Hrot unwillingly drags her soul into a pact with the fiend who cursed him. 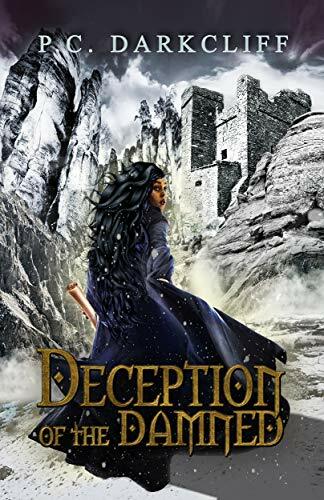 The fiend makes her husband’s killers look like a flock of doves—but Jasmin’s heart is awakening to Hrot’s devotion, and she travels in time and skirts infernal dominions to save him. If she ever wants to break their curse, however, she must succeed where Hrot failed: she has to outwit the Emissary of the Otherworld.